As a mom with young children, I try often to be cognizant of the products I purchase and use within my home. There are many household products we can create ourselves without using harmful store-bought agents that are full of chemicals and preservatives. Below are 3 natural essential oil recipes I created by using dōTERRA essential oils. The 3 recipes are great natural alternatives for: lavender bath salts, reed diffuser oil, and no streak window cleaner. Mother’s and fathers sometimes need a few quiet moments to themselves to think. Bath-time is one of the best times parents can do this alone. Lavender bath salts give your bath water a nice comforting and relaxing scent. Medical News Today reports that “the essential oil of lavender may be useful for treating anxiety, insomnia, depression, and restlessness.” Using these bath salts after a long day will help soothe and relax your body before bedtime. First add the Epsom Salt into a bowl or jar of your choice. Next add the essential oils. Then add the food coloring. I mixed red and blue together to make purple in a separate container then mixed all of the ingredients together and shook the jar so the color would be evenly distributed. Tip: A little goes a long way with the essential oil. Even though, I didn't use a lot the mixture is very powerful. Some scientists have reported that common household air fresheners contain Volatile Organic Compounds (VOCs), which can be harmful to a person’s health. VOCs have different names but here are a few to be aware of: toluene, styrene, xylenes and trichloroethylene. The Agency for Toxic Substances and Disease Registry reports that stored air fresheners can be a toxic product found in many homes. So to prevent these chemicals from being released in your home, you can make your own air fresheners naturally. Place the Almond Oil first. Add the alcohol, and essential oils. Add the reeds. Let them soak in the mixture for 5 minutes, and then turn them upside so they part that soaked will be in the air. I wanted my air freshener to be a light smell so I used the lemon and peppermint combination, but the combinations you can use are endless. * The alcohol helps the oil and scents travel up the reeds easier. Natural cleaning products are easy to make. This no-steak window cleaner is very simple to make and great for home use. Of course you can use plain vinegar or you can use the mixture below. Lemon oil is good for cleaning, it’s a disinfectant, and is pleasant. Peppermint oil is great for helping to get rid of unpleasant odors. Combine all ingredients into a spay bottle, shake, and use. For best results, use newspaper of soft paper towels. 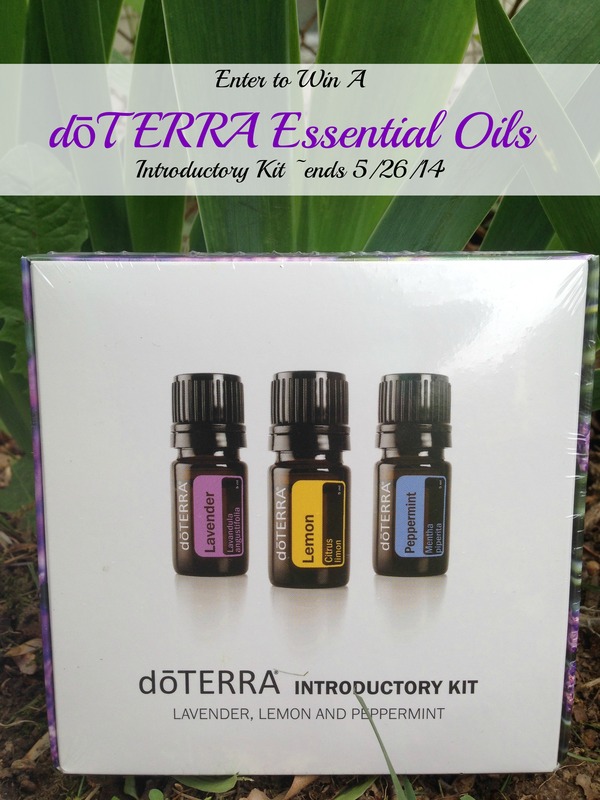 ENTER TO WIN A dōTERRA INTRODUCTORY ESSENTIAL OILS KIT ~ Giveaway CLOSED. Congratulations to Folayan for winning the contest.